We Offer One-Year Service Guarantees! From dishwashers to refrigerators to washing machines, appliances are meant to make our lives easier. When they work the way they’re supposed, they absolutely do! However, when even a microwave malfunctions, not only does it add another item on your “to-do” list, it can bring your daily schedule to a halt. Because you can’t do the laundry without a washer, or buy new groceries without a functioning refrigerator, allow our appliance repair experts to help you get back on track. We offer skilled, reliable appliance repairs in Peoria that are cost-effective and fast. Go ahead and check appliance repair off your “to-do” list. Call (602) 899-2423 to schedule a service today! Don’t let a leaking washer throw a wrench in your daily routine. 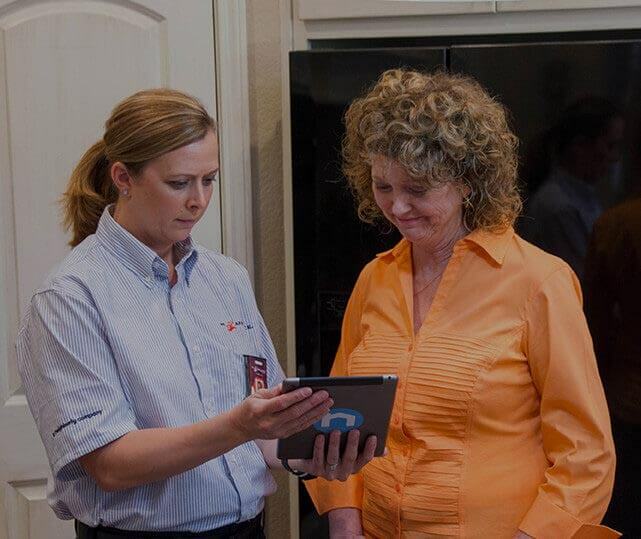 For over 20 years, Mr. Appliance has been the trusted name in appliance repair services. Our repair experts are passionate about their trade and lead the industry in the technology we use and the methods we utilize. We have yet to encounter an appliance that we don’t have knowledge of. We are available around the clock for your convenience. Our “leave no trace” policy ensures a clean workspace. We offer upfront, transparent pricing with no overtime charges. Our technicians are fully licensed, bonded, and insured. All our parts and workmanship are guaranteed for a year. Get Appliance Repair You Can Count On – Call (602) 899-2423! Appliances are major investments made to make your life easier. Don’t waste time and money trying to buy a new unit. Our Peoria appliance repair technicians work quickly and diligently to have your washer, fridge, microwave, etc., run like new again! We are so confident in our services, we provide full customer satisfaction, guaranteed! Find out why our customers in Peoria and beyond would recommend us to friends and family. Call (602) 899-2423 to schedule an appointment! $25 OFF Any Appliance Repair $200 or More Not valid with any other offers or for diagnostic fee. Valid at participating locations only. Limit one. Locally owned and independently operated franchise.